1. A couple of notes on our methodology here. From the published HBR pieces it isn’t clear over what timeframe results have been considered. We work with copies of the School Workforce Census from 2010-2015, as the years for which data is available. This therefore isn’t likely to have perfect overlap with that used in the HBR work, but which shouldn’t lead to strikingly different results. 2. 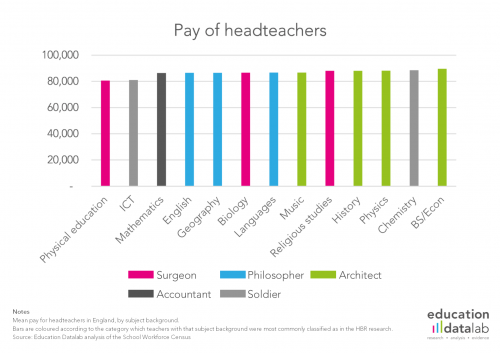 We do make the assumption here that teachers do not gain QTS and then work outside of teaching for several years before returning to the profession in large numbers. This is all very perplexing. I have kids at school, so I follow this with interest. I marvelled at the BBC Newsnight coverage and have read the articles in The Times, The Guardian, SchoolsWeek, Forbes, Huffington Post, HBR and elsewhere. 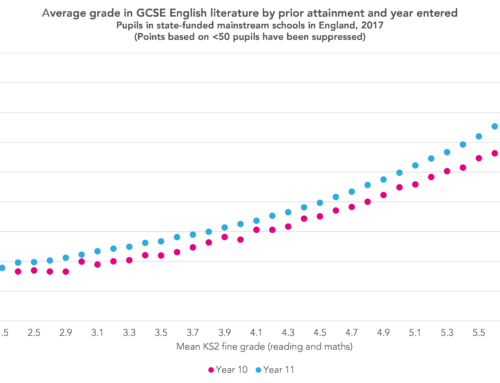 To see that certain leader styles impact student grades, and that something can be done to lift a school’s result, has very positive implications for my kids as part of Britain’s rising generation, how they’ll apply themselves in the workplace, and even our economic prosperity in the post-Brexit generation. To my mind, offering a roadmap for how school leaders can lift their game is the true value of what the research revealed. For TES and EducationDatalab to kick against all this seems very close-minded, and protective of the status quo the research challenged. I wonder who paid for this ‘new study’? Was it run with an agenda in mind? We may never know. I wonder how they replicated the original 7 years of research in just a few weeks to claim they have something anywhere near the same calibre? I wonder why articles like this claim the researchers never published their ‘secret methodology’ when even my 13 year old was able to find the original Oxford academic paper with a simple Google search. 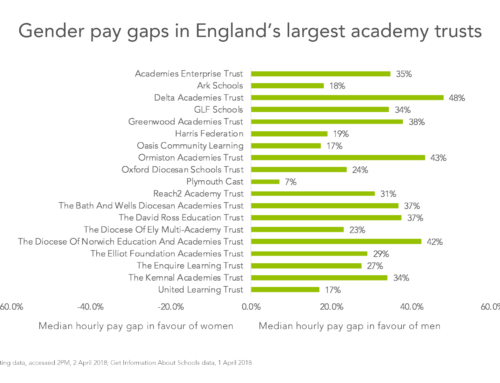 It’s here by the way: http://eureka.sbs.ox.ac.uk/6147/1/2016-13%20(2).pdf –and the detail is significant. No secrets at all. It’s lazy journalism, or an obvious bias, to claim otherwise. If EducationDatalab, TES and others are going to throw stones, best make sure it’s not in glass houses. Meanwhile, what is being done to drive the original research forward, get on the same page and put its findings into use? 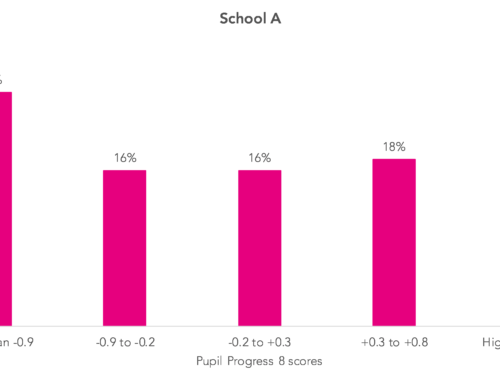 Wouldn’t we all like to see schools improve? Those with our students’ best interests at heart will do so. Those with another goal won’t, as this article shows. What a shabby disappointment. Thank you for taking the time to leave a comment. I am sorry to hear that our little piece of administrative data analysis angers you so much. The research you link to in your comment is a 8 school case study. The research we are interested in is their study of 411 school leaders. Can you provide me a link to the methodology for that part of their research please? Who paid for the new study? Nobody. 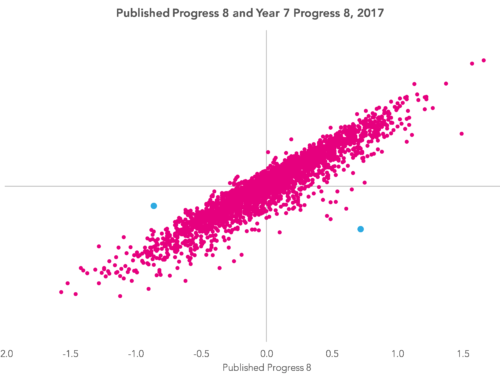 Education Datalab is part of the non-profit FFT Education Ltd who have been supporting schools in using data for over 15 years. When we have some spare time, we use to it do research like this. Nobody asked us to do it. Was it run with an agenda in mind? Certainly. We aim to help policy makers and teachers improve schools. I wonder how they replicated the original 7 years of research in just a few weeks to claim they have something anywhere near the same calibre? Simple. We used data collected by other people (i.e. the government) rather than collecting the data from schools ourselves. This way it is very simple and quick to see whether the correlations found in the original study can be found more generally in other datasets. Is our work as robust as the original research? Who knows… nobody is capable of judging the calibre of the original work because they have not published it in a peer reviewed journal. I’ve read the PDF on how you identify and group subjects. Please would you tell me which table in the SWC data you used to identify the specialisms of headteachers for 2014 & 2015? 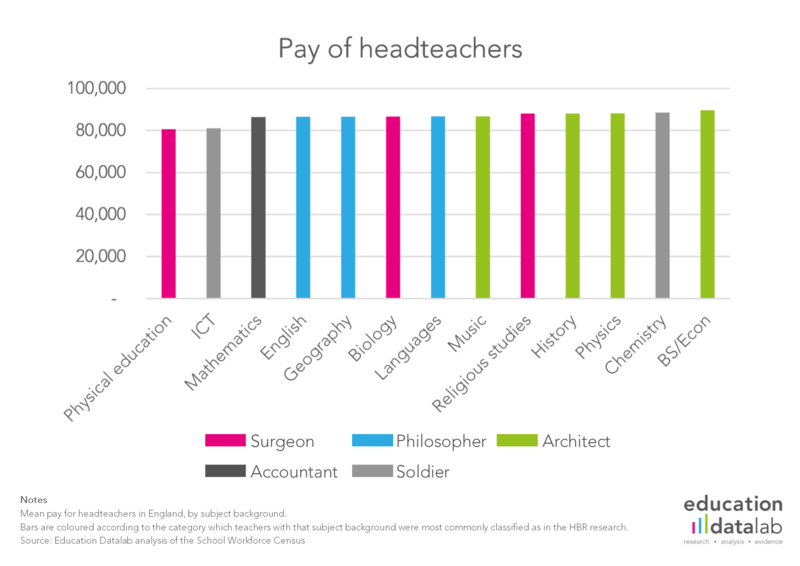 I’ve looked at the tables provided on their website and can only find teacher specialisms. Hi Becky (and team) – thanks for this really helpful analysis. 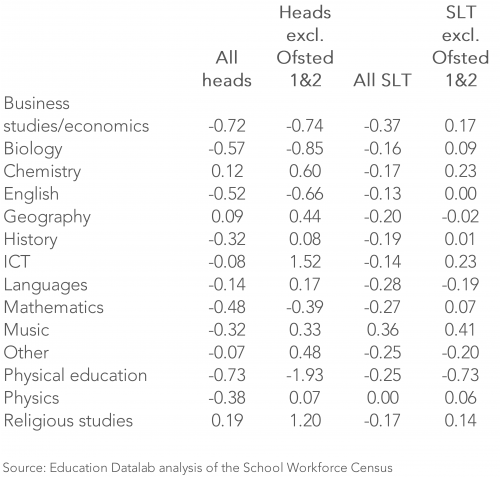 I was looking in what I take to be the underlying school workforce census data (accessed here https://www.gov.uk/government/statistics/school-workforce-in-england-november-2010-provisional – the zip files claim to have the underlying data) and I couldn’t see where in the SWC you would have found leaders’ subject backgrounds, or indeed anything on characteristics of individual school leaders, order to do this work. Am I missing something (quite probably!) or does FFT have access to additional non-published SWC data that includes this level of detail?